Let your imagination go wild and picture different sculptures that are naturally created by the pack ice in the harbour of St. Anthony in Newfoundland, Canada. Each year the pack ice floats into St Anthony Harbour until it melts and people either find it very annoying as it blocks the harbour or very fascinating and beautiful. 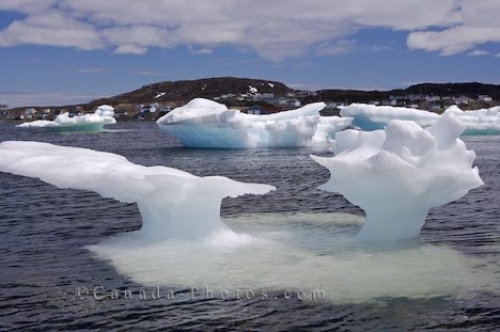 Picture of ice sculptures that have moved into St Anthony's Harbour in Newfoundland, Canada melting inch by inch.